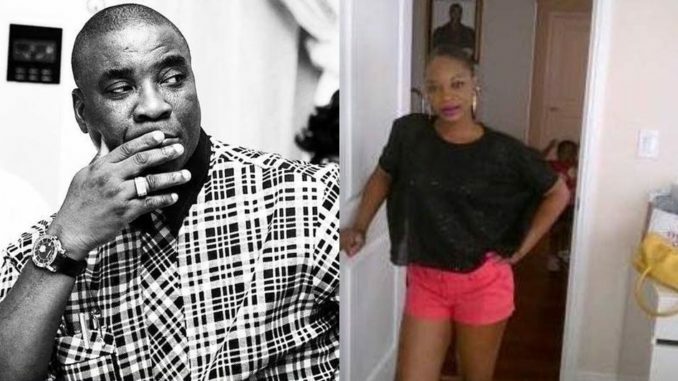 Nigerian musician, King Wasiu Ayinde Marshal (KWAM 1) penned an emotional tribute to his late daughter, Olaronke Marshall, who died after a brief illness on Tuesday. OLARONKE ASHABI MIIl: 17th July 1983 -12th December 2017, The 2 dates in HISTORY and shall never be forgotten ever in my life.. The first, a date you came to this world and the later the day you departed. I give glory & thanks to God Almighty who gave you to me as a GIFT by you coming to this world for a purpose and through me, I have seen that severally while you were growing that I am PRIVILEGED to be your FATHER and also to the kind of a child that also double as my FRIEND. About your sickness and all our efforts through Medical means that was available to us to make you better failed us, neither did your prayer and that of mine and everybody that loves you never heeded by God, rather it is a direct word from God Almighty that Allah Subhanalahi Watahala wants you around him in his PARADISE and I totally submit to that and never question him God for doing that. You embraced God and his commandments, also with your knowledge of the Holy QURAN is enough TESTIMONY to the fact that you truly served your God whom you knew too well inside and outside. If you are able to look back right now this minute You will see how people across the GLOBE are all trying to comfort me and soften my heart with many beautiful words and verses from both QURAN and BIBLE, the books that guide us to our CREATOR then you will agree with me your DEATH is well celebrated as one already in ALJANATA ADESUBOMI BABAMI: Shagbola Ogoji, O kobi foshika ko fenu a rare wuree, Omo Olorule Sesese Natiijebuode titi de Epe, Omoba Alade Merindilogun, Omo Awujale Fidipote ton gbenu Aafinpase dede lu. Alayeeeeeee Dajiiiijii Rest peacefully well with your creator as I have submitted to his Will without regret or complain. Many thanks to you friends, Fans, Family and all Associates across the GLOBE that Grief and Mourns with us in this home-call of my Best Friend. I thank you once again.. Ao ni fi irue san oo. Ojo gbogbo wa ati awon omowa aape lorile aiye. OLASUNKANMI MARSHAL- K1 DE ULTIMATE ULE OMO OJUSHAGBOLA VILLA IJEBU-ODE OGUN STATE NIGERIA.